What does Threads For Love specialise in selling? 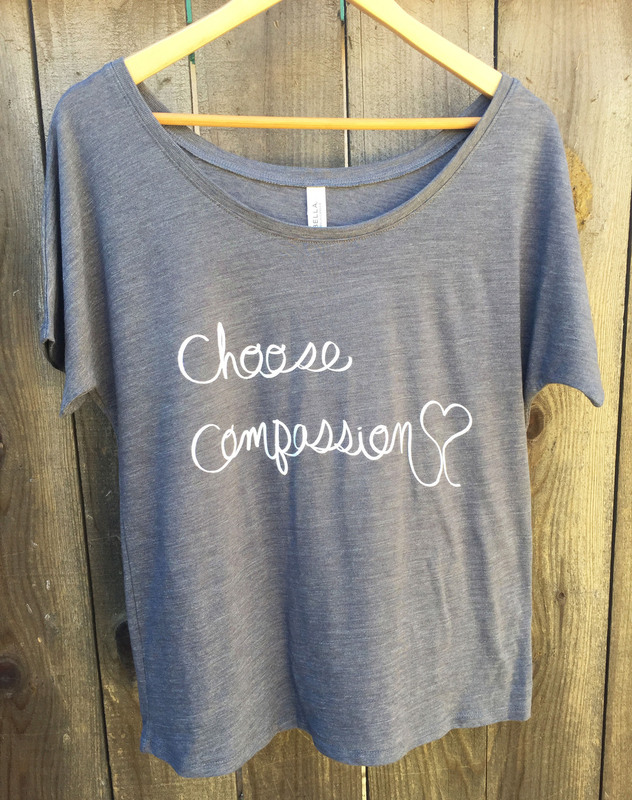 Threads for Love offers eco-friendly, vegan apparel (tee's and tanks at the moment), which promotes compassion for all animals. Where is Threads For Love based? Threads for Love is based in Los Angeles. Currently the products are only offered online at threadsforlove.com. Definitely! We offer worldwide shipping. If for some reason you do not see your country listed, please feel free to reach out! What inspired you to create a business that solely focuses on vegan clothing? Before I started Threads for Love, I was working as a swimwear designer and although I loved the designing aspect of it, I did not love the amount of needless stress it caused. We're talking about swimsuits here, nothing that is life and death. I began to realise that I was wasting my energy on something that was not helping nor benefiting anyone. So from that little epiphany, I was on a mission to figure out how to combine my love of fashion with my love of all animals...and that's how Threads for Love was born! How easy is it for you to source cruelty free ingredients for the clothing that you design and make? It was a little challenging to find out which inks some screen printers used because they were not willing to disclose that information. However, I found that there are screen printers who care about animals and the environment, so I work with them! The company that prints my designs now is called Sparky Screen Prints. They were so open and honest when I was inquiring about their practices, which I was grateful for, and the owners are actually vegan themselves. Do these ingredients effect the outcome in comparison with non-vegan clothes? The printing quality has been great so far! I do not see any difference between the quality of the graphics on my shirts versus ones you can find elsewhere. Which design would you suggest that new customers buy, and why? I would say the "Choose Compassion" would be a good one because it promotes kindness for all animals by living a cruelty-free lifestyle. It's also a really cute, comfy style in a great color that can pair well with a variety of outfits! Is Threads For Love owned by, or in partnership with, another company that tests on animals or sells non-vegan products? Nope! It is a sole proprietorship and is even PETA-Approved. Tell me a bit about yourself before you launched Threads For Love? Before I launched Threads for Love, I was working long hours, sitting in an absurd amount of traffic everyday and I couldn't say that, "I loved my job"; I always felt like something was missing. I came to the realisation that life is too short to be anything but happy. Although this journey of mine is still in the beginning phase, I am thankful for every day I get to do this, knowing that I am putting my energy to use for the greater good. What is your vision for the future of Threads For Love? I would love to expand my products and include ready-to-wear pieces using organic, recycled and vegan fabrics. I would also love to team up with different animal welfare organisations to create designs specifically for them and will benefit their endeavors. I want Threads for Love to be known as a business with a conscience, one that opens people’s eyes to see that all animals deserve love, kindness and a chance to live a happy life. I hope my designs will help to shed light on that.